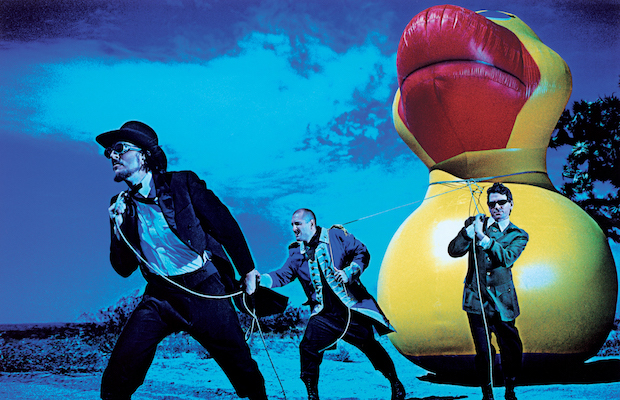 Eclectic rockers Primus are gearing up to release their first studio album in six years (assuming you discredit their reimagining of the music of Charlie & The Chocolate Factory three years ago), and have reassembled the classic lineup for their first album together since 1995’s Tales from the Punchbowl. Legendary bassist and vocalist Les Claypool, Larry LaLonde (guitar), and Tim Alexander (drums) will be releasing Primus’s The Desaturating Seven on Sept. 29, and have announced a fall tour, including a Nashville date at War Memorial Auditorium on Oct. 24, in support. Hard to disagree with that, and it is hard to disagree with the impressiveness of a Primus show, as we learned (again) when they last played Nashville with Tool in January of 2016. Head below to listen to the first single, “The Seven,” and check out rest of the tour schedule. Tickets for the Nashville show run $35, and you can get them here starting Aug. 4 at 10 a.m. CDT.